Parke County, Indiana is the Covered Bridge Capital of the World with 32 Covered Bridges. 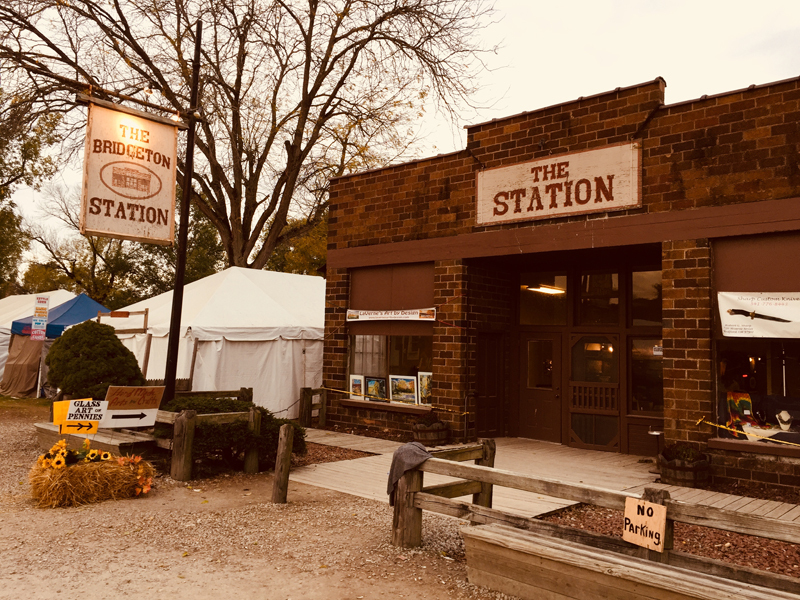 Event Information: See my display at this year’s 2018 Parke County Covered Bridge Festival in the Station in beautiful Bridgeton, Indiana. Address: In the “The Bridgeton Station,” on Bridgeton Road at the corner of Allen Street. 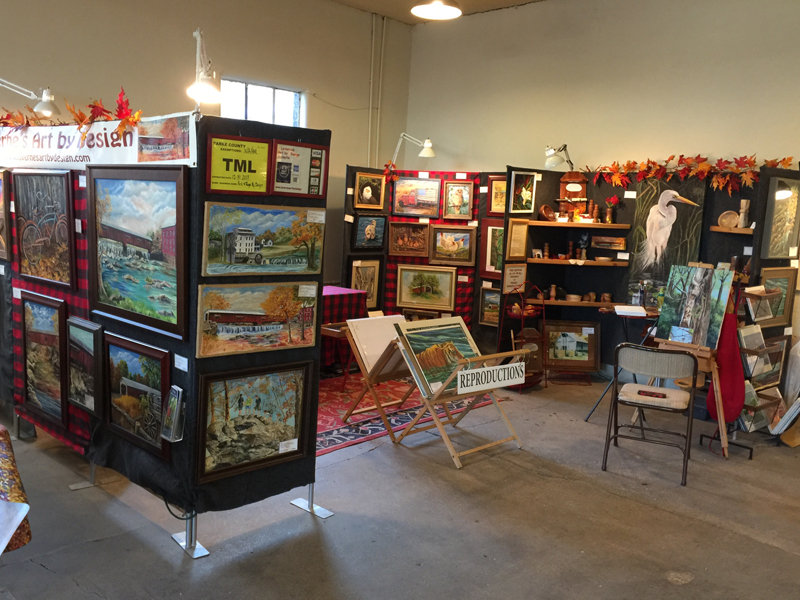 The Station has only artists with hand crafted art. Dates: Friday October 12th through Sunday October 21st. 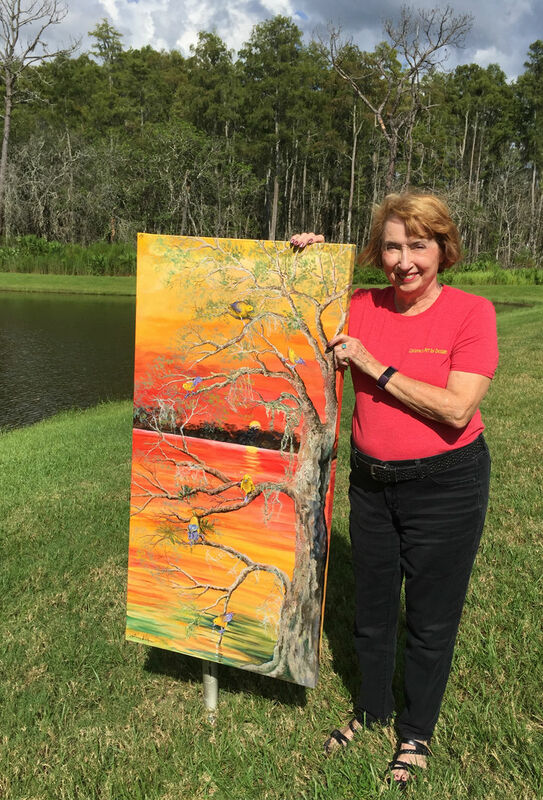 Event Details: I’m am a part of the “Florida In Art – Live Paint Contest” in the Westshore Mall. All participating artists paintings will be on display in the Westshore Mall, Space #225 , which is next to Old Navy. They will be featured on the upper walls, from November 24th through December 24th, and all visitors will have an opportunity to vote for their favorite painting. The Winning artist will receive a $1000.00 award. The artists & paintings are featured on their Facebook page: https:/facebook.com/FloridainArt/. Here’s my slide show for the Florida In Art Live Paint contest. My Painting is a Mixed Media High Relief Acrylic Painting on a gallery wrapped canvas, which is 24″ Wide by 48″ High & 1.75″ deep with red as a primary part of the painting. The canvas size and color red are requirements of the contest. 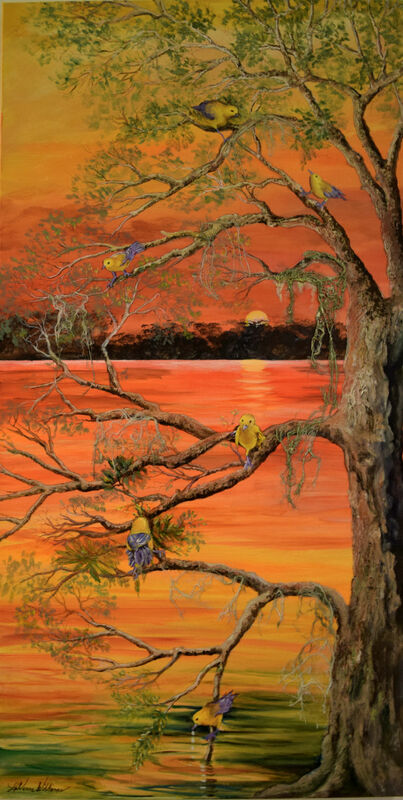 The Painting is Titled: “Nocturnal Travelers.” I have added the red as a sunset from a photo I took of a red sunset on a lake near Tallahassee. I created a tree with Prothonotary Warblers, which often move about, and chirp all night, much to the chagrin of individuals attempting to sleep nearby. 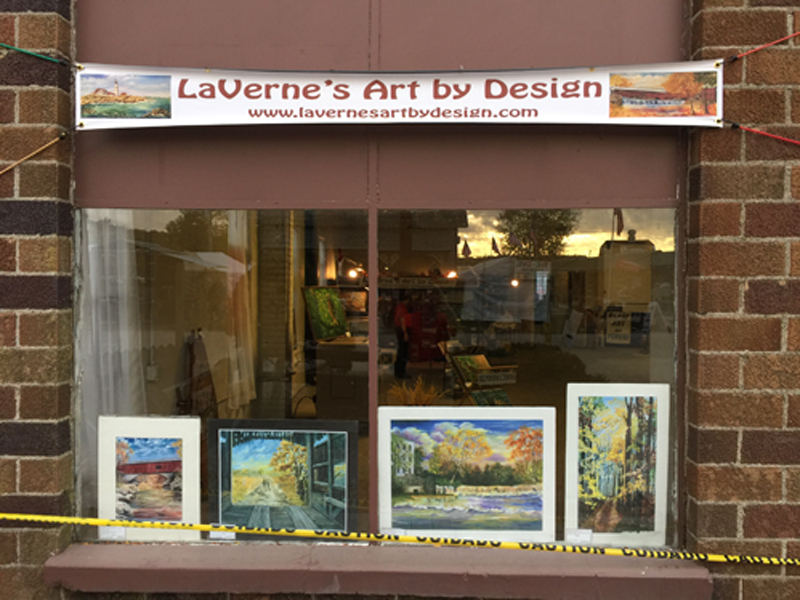 Event Details: LaVerne’s Art Display – I will have a booth – #225 in WestShore Plaza, next to Old Navy displaying my art on Friday – December 14th, Saturday – December 15th, and Sunday – December 16th. The Mall has extended hours from 9:00 AM until 10:00 PM on Friday and Saturday, and 11:00 to 6:00 on Sunday.